Cross cultural issues confound Australian justice systems. During the research, many Yolŋu people expressed the opinion that most non-Aboriginal people demonstrated a serious lack of knowledge and understanding in relation to Yolŋu people, Yolŋu law and Yolŋu ways. Consequently, the current situation was perceived by many Yolŋu as being a two-sided problem. Yolŋu conveyed distress that many Balanda did not even recognise that a Yolŋu legal system was in place, hence the title “Bäyŋu Ŋayaŋu-Dapmaranhamirr Rom ga Ŋorra” which means “no existence of deep and mutual respect”. Over 95% of Yolŋu surveyed were unable to correctly identify the meaning of the 30 commonly used English legal terms. What is interesting in relation to some of the things I have been arguing in relation to Indigenous eduction. For those surveyed who had access to government schools, those born after 1965, 97% of their responses indicated that they had either no understanding, or gave completely incorrect meanings to these legal terms. These Government schools did not use Balanda teachers trained in local languages. Those surveyed who were born prior to 1965 and thus had access personnel on the ‘Missions’ who spoke the local languages, still had a many misunderstandings, but where reported to have a much better understanding of the legal system and they responded with a correct or partially correct understanding of the legal terms 10-20% of the time, as against 3% of the time for those born after 1965 (see page 24). The report includes a series of studies on how individual words were understood and how this has affected Yolngu individuals in their dealings with the legal system. Perhaps most striking was the perception by some Yolŋu that to be “bailed out” meant they were free, often resulting in them breaking their bail commitments to return to court. In 2005 there were over 5000 warrants out for the arrest of people who had breached bail in the Northern Territory, on current jailing rates 80% of these could have been for Aboriginal people. This is a striking insight to the effects of cross-cultural misunderstandings. 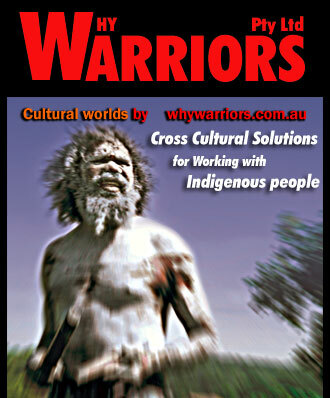 It highlights for me the importance of minimising such confusion in my communications with Aboriginal people. I hope it also helps some of you to grasp some of the reasons why things may not work out the way we expect when working with Aboriginal people. Please have a quick read or download the report by clicking here (opens in a new window).